Osteoarthritis is a degenerative joint disease that typically worsens over time, as people age. Although often worse in elderly or overweight individuals, middle-aged and even young patients can develop severe arthritis as well. Although women can be affected by arthritis more often than men, more than 30 million Americans are affected by osteoarthritis overall. While the arthritis can affect any joint in the body, it occurs most often in the hips, knees, shoulders and low back. Arthritis is caused by the break down of the normal cartilage in a joint, which normally provides a cushion between bones and is responsible for the smooth motion of your joints. Also called “wear and tear arthritis,” osteoarthritis symptoms such as joint pain, stiffness, and inflammation usually develop gradually over time, but sometimes occur more rapidly. Often, the symptoms are confused with other conditions, shrugged off as a minor thing, or completely missed until it’s too late. Young, fit, and active people can also develop osteoarthritis. Common risk factors include the overuse of joints, a previous joint injury or prior surgery, weakness of the surrounding muscles, and certain genetic factors. It’s important to recognize the early signs of osteoarthritis. Because symptoms can take a while to develop, some people may not be aware of the condition until it has progressed to later stages. Untreated, osteoarthritis can lead to bone loss, bone spurs, and damage to surrounding ligaments and other soft tissues. If you feel pain or tenderness after physical activity or if you feel a sharp twinge of pain when moving a joint, you could have osteoarthritis. Keep in mind however, that not all people with osteoarthritis feel pain. In fact, only one-third of patients with X-ray evidence of the disease report feeling pain. What this means is that the level of pain experienced by those with osteoarthritic joints differ significantly. Feeling joint stiffness after getting out of bed in the morning or after sitting for a long period of time may also be a sign of osteoarthritis. If the stiffness lasts for a long time, or all the time, it could be a sign of significant osteoarthritis, or even an inflammatory type of arthritis such as rheumatoid arthritis in which your own immune system can attack many different joints. Joints can swell for a number of reasons such as a bone fracture, infection, or soft tissue injury like a muscle strain or ligament sprain. Many types of arthritis also cause joint swelling. When joint inflammation is accompanied by other early signs of osteoarthritis such as chronic stiffness and joint pain that gets worse over time, it’s a good indication the problem may be arthritis. Crepitus, or small clicks and pops in a joint, can be indicative of cartilage wear in the joint. Feelings of popping, cracking, or even a crunching sound with movement can be common and painful. If you feel pain like your bones are rubbing against one another and you hear a popping sound, you may have osteoarthritis. In the early stages of osteoarthritis, you may feel like moving your body is not as easy as it once was, and what you once considered a normal range of movement may be uncomfortable. Arthritis affects your flexibility and range of motion such that even the simple act of bending and extending your knee or hip may produce discomfort. If you experience any of the early signs of osteoarthritis, consult with a board-certified orthopedic surgeon. These are warning signs that deserve your attention, and it’s best not to ignore them. An orthopedic doctor will examine you and obtain simple X-rays to diagnose the cause of your symptoms. If you have osteoarthritis, your doctor can develop the most appropriate treatment plan to prevent bone loss and joint dysfunction. Ultimately, the sooner you find out you have osteoarthritis, the sooner you can begin treatment to feel better. If you are feeling the early symptoms of osteoarthritis, have yourself evaluated by an orthopedic surgeon. In cases like this, you may be able to act early to prevent your condition from getting worse. 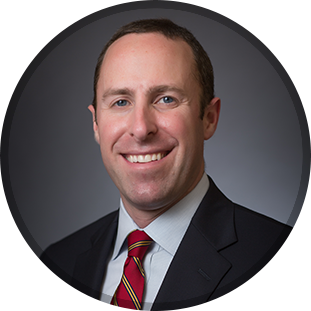 As a hip and knee expert with locations in Raleigh, Durham, and Apex North Carolina, Dr. Brett Gilbert is an orthopedic specialist who can diagnose and provide treatment options for your specific condition. His goal in helping patients is always to provide compassionate care, technical expertise, and personalized attention to patients with these orthopedic issues. Learn more about your treatment options for osteoarthritis. Schedule an appointment with Dr. Gilbert by calling our office at (919) 788-8797 or use the convenient request an appointment form.